It is the time of year when hope springs eternal in NFL cities everywhere. Fresh off the 2018 draft, franchises from coast to coast are basking in the optimism an influx of new players can bring. The vast potential of these prodigies buoys the great expectations of fans hoping they bring the talent necessary to help carry their beloved team to Super Bowl success. Green Bay selected Louisville corner Jaire Alexander with the 18th pick of the NFL Draft. Alexander battled leg and hand injuries this past season, limiting him to six games, but when healthy, he is a quick, aggressive and versatile corner who can also contribute to special teams. Alexander averaged 9.9 yards on 44 career punt returns for the Cardinals, including a 69-yard return for a touchdown against Florida State in 2016. His best film came during his sophomore year in 2016, when he intercepted five passes and broke up nine others in 13 starts to earn Second-Team All-ACC honors. Showcasing his speed and agility, Alexander ran a 4.38-second 40-yard dash at the NFL Scouting Combine in February, which was the sixth-fastest time by a cornerback this year. Green Bay added a second highly-regarded cornerback with the 45th overall pick. Jackson was a full-time starter for the first time in 2017. During that season, the Hawkeye led not only the Big Ten but the nation with eight interceptions, returning two of them for touchdowns, both in the same game against the University of Wisconsin. He was named the Big Ten Tatum-Woodson Defensive Back of the Year and was a finalist for the Jim Thorpe Award for the Nation’s Best Defensive Back. “He played a lot of zone defense in Iowa…he basically started for one year…this is a guy who looks the part, and boy, last year, he certainly played the part,” said WTMJ voice Wayne Larivee. Green Bay added Vanderbilt linebacker Oren Burks with the 88th pick in the third round. Listed as an OLB, Burks played all over the field on defense at Vanderbilt. He played safety his first two seasons and was moved to a hybrid safety-linebacker position during his junior year. In his final year with the Commodores, he played exclusively at inside linebacker, recording career highs for total tackles (82) and tackles for a loss (7). At the NFL Scouting Combine in February, the speedy linebacker ran a 4.62 40-yard dash and also led all linebackers in the draft in the broad jump and vertical jump. As a linebacker who can cover, he has the potential to address a glaring need on the Green Bay defense. Burks comes out of college having also earned respect for accomplishments off the football field. As a campus leader at Vanderbilt, he was actively involved in social issues and co-founded a campus group empowering African Americans. On day three of the draft, Green Bay selected the University of Missouri’s J’Mon Moore in the fourth round. The polished wide receiver had a team high of 65 catches last season and exceeded 1,000 yards as both a junior and a senior at Missouri. He is especially skilled at adjusting to deep throws and can make plays after the catch. Moore is also known for his impressive jumping ability, with his 38-inch vertical leap ranking fourth among receivers at February’s NFL Scouting Combine. 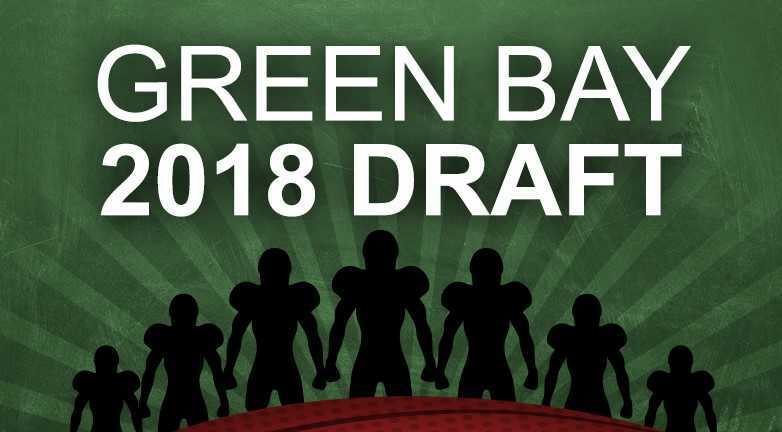 Legions of the Green & Gold faithful are now welcoming Green Bay’s 2018 draft class with open arms, hoping these stars of the collegiate gridiron are on the cusp of professional greatness. For fans who’ve followed these draftees during their college careers, the chance to see them play for the league’s most storied franchise is an opportunity Event USA is happy to ensure they do not miss! Game Tickets – Any quantity! Player Autograph Parties – Up close and personal!